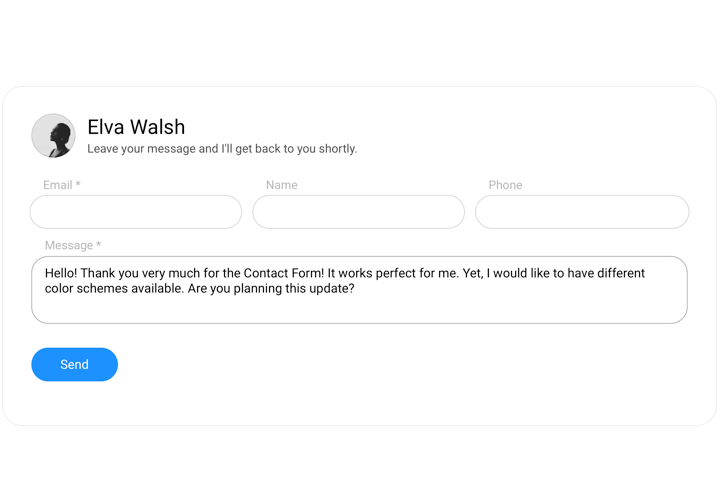 Our WordPress contact us form plugin – helps with any existing requirements in collecting reviews and enquiries from clients of your site. Add fields for filling in, choose one of the layouts and adapt the interface. 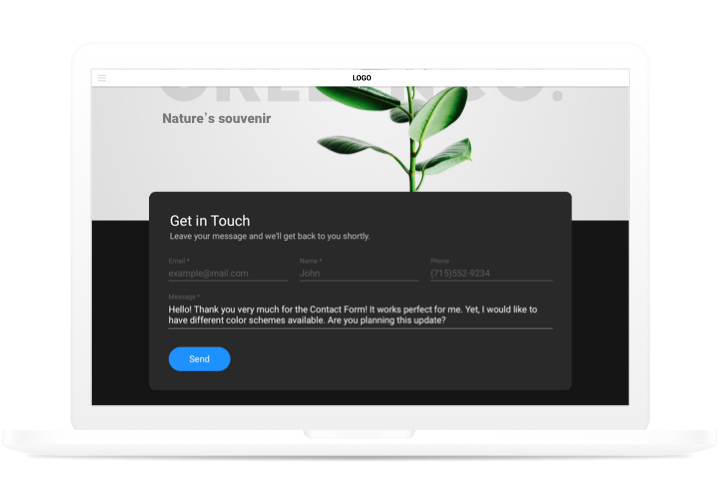 Collect testimonials, get orders, and answer to the letters of the clients of your website! 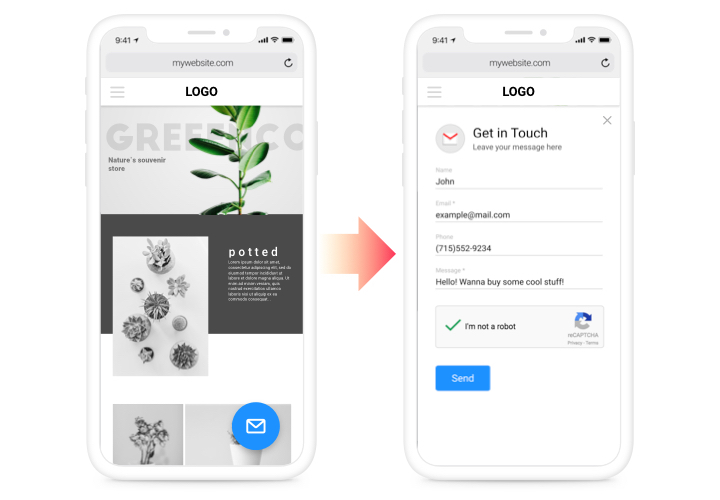 Stay in constant touch with future clients 24 hours per day using an easy form on your website and attract visitors who are ready to purchase. Impressions your users send you are essential for the development of the company. Thanks to our easy contact-form, you will be able to find more reviews from your website! Don’t let getting spam in your mailbox. 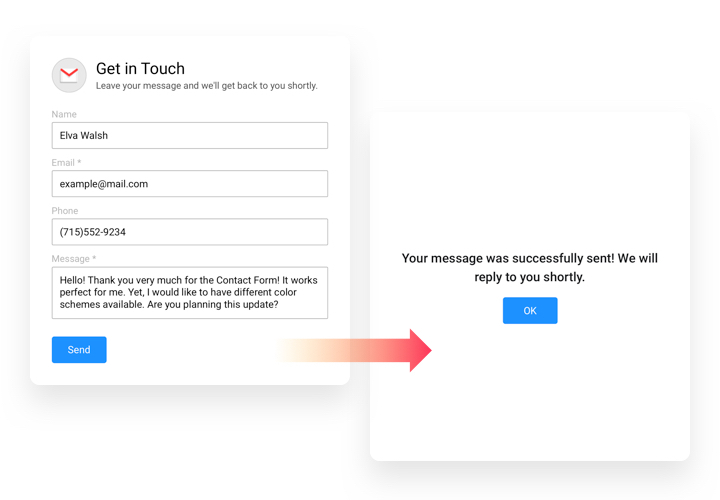 Our form is equipped with Google reCAPTCHA to safeguard your mailbox from automatic spamming and bots. 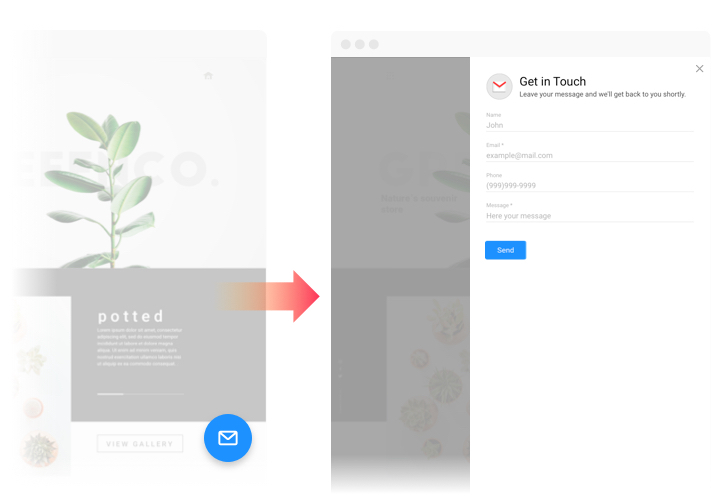 Follow instruction by Elfsight, to embed contact plugin to your website. You will not need competence in web development and average installation time is less than 80 seconds. Using our free demo, set up a plugin with a custom design and functionality. After you have generated your widget, you will get the individual code from the appeared notification on Elfsight Apps. Copy this code. Select the area where you would like to display the plugin and paste the copied code there. Publish the edits. Enter your store, to check your work. While following the tutorial or setting up your contact form you experience any issues? Leave your inquiry at Elfsight help center with a thorough description of your problem, and our team will be happy to help. 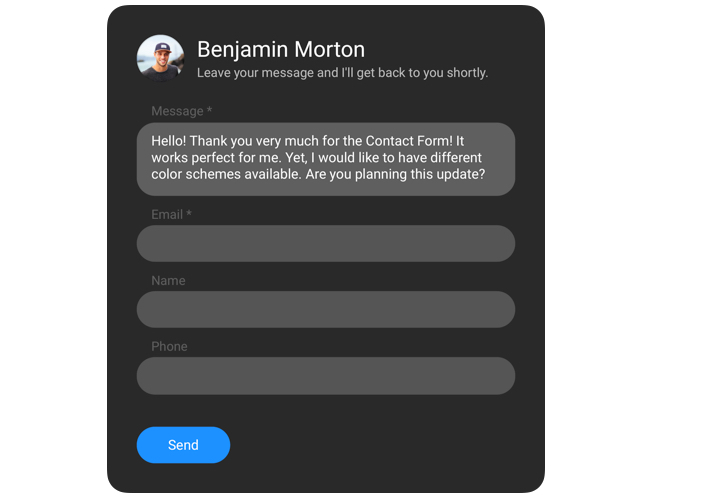 Try Elementor Contact Form absolutely free!